The “common heritage of mankind” is an ethical concept and a general concept of international law. It establishes that some localities belong to all humanity and that their resources are available for everyone’s use and benefit, taking into account future generations and the needs of developing countries. It is intended to achieve aspects of the sustainable development of common spaces and their resources, but may apply beyond this traditional scope. When first introduced in the 1960s, the “common heritage of mankind” (CHM) was a controversial concept, and it remains so to this day. This controversy includes issues of scope, content and status, together with CHM’s relationship to other legal concepts. Some commentators consider it out of fashion due to its lack of use in practice, e.g., for mining of seabed resources, and its subsequent rejection by modern environmental treaty regimes. In contrast, other commentators consider it a general principle of international law with enduring significance. Escalating global ecological degradation and ongoing inability to arrest the so-called tragedy of the commons (Hardin 1968) will ensure the continued relevance of the common heritage concept, despite the difficulties surrounding its acceptance by states. Evidence for this can be found in a range of efforts to apply CHM to natural and cultural heritage, marine living resources, Antarctica and global ecological systems such as the atmosphere (Taylor 1998) or climate system. Legal discussion of CHM generally begins with the speech of the Maltese ambassador Arvid Pardo (1914–1999) to the United Nations in 1967. In this speech he proposed that the seabed and ocean floor beyond national jurisdiction be considered the CHM. This was an important event that triggered the later negotiation of the 1982 Law of the Sea Convention (UNCLOS III) and other legal developments that subsequently earned Arvid Pardo the title “father of the law of the sea.” But CHM has a much longer history, and Pardo drew upon this in developing CHM as a legal concept for the oceans. Other people, including the writer and environmentalist Elisabeth Mann Borgese (1918 – 2002) considered CHM an ethical concept central to a new world order, based on new forms of cooperation, economic theory and philosophy. This history is important to elucidating the ethical core of CHM: the responsibility of humans to care for and protect the environment, of which we are a part, for present and future generations. A 1948 draft World Constitution provided that the Earth and its resources were to be the common property of mankind, managed for the good of all. Concern about the use of nuclear technology and resources, for military and peaceful purposes, also led to an early proposal that nuclear resources be collectively owned and managed, and not owned by any one state. Traces of CHM are also found in the U.N. Outer Space Treaty (1967), which governs state exploration and use of outer space, the moon, and other celestial bodies. CHM, however, achieved prominence in the context of the evolving law of the sea. The 1967 World Peace through Law Conference referred to the high seas as “the common heritage of mankind” and stated that the seabed should be subject to U.N. jurisdiction and control. Concern about the impact of new technologies upon the oceans, militarization and expanding state claims to ownership of parts of the oceans, e.g., continental shelf and exclusive economic zones, together with growing economic disparity and associated harm to long-term human security, prompted Arvid Pardo to develop the idea that all ocean space, i.e., surface of the sea, water column, seabed and its subsoil, and living resources, should be declared the CHM, irrespective of existing claims to national jurisdiction. The intention was to replace the outdated legal concept of “freedom of the high seas” by proclaiming ocean areas an international commons. (Areas with significant natural resources that are acknowledged to be beyond the limits of the national jurisdiction of sovereign states are known as international commons.) Freedom of the high seas, developed by the Dutch jurist Hugo Grotius (1583–1645), creates an open access regime allowing for its laissez-faire use. The few restrictions that exist serve only to protect the interests of other states and their exercise of free use. In contrast, as the CHM, ocean space and its resources would be a commons that could not be owned by states beyond a certain limit. As a commons it would be open to the international community of states, but its use would be subject to international administration and management for the common good of all humanity. Where areas of ocean space and resources existed within national jurisdiction, states would regulate and manage use on behalf of all mankind, not solely for the benefit of national interests. This approach recognized the unity of the oceans as ecological systems and rejected both laissez-faire freedom and unfettered state sovereignty. It included efforts to simplify ocean jurisdiction by establishing one single line of demarcation between national and international ocean space (Draft Ocean Space Treaty of 1971) and prevent gradually expanding claims to national jurisdiction. The CHM was originally intended as a concept that would revolutionize the law of the sea by applying to all ocean space and resources. But in 1967 Arvid Pardo recognized that this would be rejected by the powerful states who were attempting to extend their sovereign claims to more ocean space and resources. By focusing on the legal status of the much more limited entity of the “seabed” beyond national jurisdiction, it was thought that CHM could gain an important foothold within the U.N. system. The 1967 Maltese proposal lead to a number of important developments, including the 1970 U.N. General Assembly Declaration of Principles Governing the Sea-Bed and the Ocean Floor and the Subsoil Thereof, Beyond the Limits of National Jurisdiction. This declaration set out the legal principles needed to implement the notion that the seabed and its resources are the CHM, and it helped create consensus for the negotiation of a new law of the sea convention: UNCLOS III (U.N. Convention on the Law of the Sea). The ultimate outcome was a much more limited application of CHM than ever intended by its advocates. As will be explained immediately below, UNCLOS III restricted the application of CHM to a few rocks, e.g., mineral resources such as manganese nodules, sitting on the bottom of the deep seabed. Part XI of UNCLOS III deals with the seabed and ocean floor and subsoil thereof (the “Area”) beyond the limits of national jurisdiction. Article 136 declares the Area and its resources (only) to be the “common heritage of mankind.” The Area and its resources cannot be claimed, appropriated, or owned by any state or person (Article 137). All rights to resources belong to mankind as a whole, with the International Seabed Authority (ISA) acting on mankind’s behalf (Article 140). The ISA must ensure the equitable sharing of financial and other benefits arising from activities in the Area, taking into particular account the needs and interests of developing states and others. Promotion of research, transfer of technology to developing states and protection of the marine environment’s ecological balance are all important functions of the ISA (Articles 143–145). Part XI provisions create an international administration and management regime for only a small part of the international commons (the Area and its resources). It does not generally replace the freedom of the high seas (Part VII); thus the intended revolution of the law of the sea was not achieved. In the 1970s, the most commercially viable mineral resources of the Area were thought to be manganese nodules, hence Pardo’s view that CHM was reduced in its application to “ugly little rocks lying in the darkest depths of all creation.” Despite this serious limitation, the use of CHM was revolutionary enough to be one of the reasons why the US refused to adhere to UNCLOS III. To date, commercial use of the Area and its resources has not occurred. Further, the traditional fragmented approach to jurisdiction over separate elements of ocean space and resources endures despite the irrefutable unity of ecological systems. Even though aspects of CHM appeared in the 1967 Outer Space Treaty, it was not until 1979 that a clear statement appeared in the Moon Treaty, a treaty to govern exploration and exploitation of the moon’s resources. Article 11(1) declares that the moon and its natural resources are the CHM. Disputes concerning the details of an international system for resource exploitation, including provision for equitable benefit sharing, were resolved by deferring the details of a management regime for the future. The Moon Treaty has been ratified by only a few states; nevertheless it has been used to reject claims to property rights on the basis that it creates a general principle of law, applicable to the whole of the international community and not just states that ratified the treaty. No state or person can own common heritage spaces or resources (the principle of non-appropriation). They can be used but not owned, as they are a part of the international heritage (patrimony) and therefore belong to all humankind. This protects the international commons from expanding jurisdictional claims. When CHM applies to areas and resources within national jurisdiction, exercise of sovereignty is subject to certain responsibilities to protect the common good. The use of common heritage shall be carried out in accordance with a system of cooperative management for the benefit of all humankind, i.e., for the common good. This has been interpreted as creating a type of trustee relationship for explicit protection of the interests of humanity, rather than the interests of particular states or private entities. There shall be active and equitable sharing of benefits (including financial, technological, and scientific) derived from the CHM. This provides a basis for limiting public or private commercial benefits and prioritizing distribution to others, including developing states (intragenerational equity between present generations of humans). CHM shall be transmitted to future generations in substantially unimpaired condition (protection of ecological integrity and inter-generational equity between present and future generations of humans). In recent years, these core elements have ensured that CHM remains central to the efforts of international environmental lawyers. It is recognized as articulating many key components of sustainability. Controversies surround virtually all elements of CHM. This is because, as one commentator describes, it questions the regimes that apply to resources of global significance, irrespective of where they are situated. It therefore challenges traditional international law concepts such as acquisition of territory, sovereignty, sovereign equality, and international personality, as well as the allocation of planetary resources and consent-based sources of international law (Baslar 1997). Further, it has long been recognized that the precedent established for oceans management has the potential to form the basis for the future organization of an increasingly interdependent world. 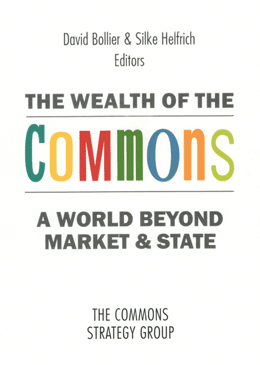 One overriding issue concerns the extent to which CHM can prevent further fragmentation and privatization of the commons (or enclosure) and replace this trend with more communitarian values and legal protection of the common good. There is a wide divergence of views on whether the core element of non-appropriation prevents CHM from applying to globally significant spaces and resources that exist within the sovereign territory of states, e.g., rainforests and their flora and fauna. The equitable utilization element (or equitable benefit sharing), which requires the sharing of financial, technological, and scientific benefits of use of the CHM, has also proved divisive especially between developed and developing states and corporate actors. Developing states tend to view this element of CHM as pivotal to the achievement of distributive justice. Developed states and commercial interests see this element as a potential impediment to investment and the use of market incentives, e.g., property rights, to achieve economic and environmental benefits. They favor, for example, exploitation by private enterprise conducted under licensing arrangements. The 1994 Implementation Agreement (amending UNCLOS III, Part XI) was generally viewed as having eroded the distributive elements of the original regime, in favor of protection of commercial interests. The impact of these and other issues saw CHM rejected as a concept to guide U.N. treaty regimes for climate change and for conservation of biological diversity. The 1992 U.N. Framework on Climate Change refers to the problem of climate change as being the “common concern of humankind.” The original Maltese proposal was for a treaty declaring the global climate system as a part of the CHM, but this was rejected. Developing states rejected the use of CHM in the 1992 U.N. Convention on Biological Diversity, perceiving it as a potential threat to their sovereign rights to use and benefit from biological resources within their own territories. They were suspicious of interference under the guise of environmental protection or via the acquisition of intellectual property rights. Over the years CHM has been applied to a range of resources and spaces: fisheries, Antarctica, the Arctic landscape, geostationary orbit, genetic resources (the genetic material of plants, animals and life forms, that are of value), and basic food resources. In recent years, the United Nations Educational, Scientific and Cultural Organization (UNESCO) has robustly supported CHM through a wide range of initiatives, e.g., declarations, conventions, and protocols, that recognize natural and cultural heritage as the CHM. Although difficult to define, “natural and cultural heritage” includes tangible and intangible elements, ranging from archaeological sites and historic monuments to cultural phenomena (such as literature, language, and customary practices) and natural systems including islands, biosphere reserves and deserts. One new area of potential application is the human genome. This may prevent the patenting of the human genome by corporate interests. In an ecological and generational context, it is possible to argue that the Earth itself is a global commons shared by each generation and that CHM should “extend to all natural and cultural resources, wherever located, that are internationally important for the well-being of future generations” (Weiss 1989; Taylor 1998). In the short term and from the perspective of state practice and treaty negotiation, the future use of CHM is likely to be limited. International lawyers tend to treat its use – beyond the UNCLOS III and Moon Treaty – as merely political and aspirational. Issues that will shortly test the commitment of states to CHM include the status of marine living resources (of the “Area” and high seas), claims to the seabed under the melting Arctic ice, and the status of oil reserves under the deep seabed. In the context of the oceans, CHM provides the only current alternative to either freedom of use by all states or the acquisition and exercise of sovereign rights. It also recognizes the interdependence of ecosystems and acknowledges human use. It therefore has much in common with ecosystem management approaches that aim to move away from piecemeal resource-specific management regimes. CHM is also relevant to the wider debate on transforming the role of the state from exclusive focus on protection of national interests to include responsibility to protect ecological systems, wherever they are located, for the benefit of all. States might be reticent to embrace the possible applications of CHM, but international law is no longer the sole province of states and international lawyers. Global civil society is playing an increasing role in the development of, and advocacy for, concepts such as CHM. It is linked to renewed interest in cosmopolitanism, global constitutionalism, global ecological citizenship and justice, and the search for shared ethical principles to guide progress towards a more peaceful and sustainable future for all (Earth Charter Initiative 2000). Baslar, Kemal. 1997. The Concept of the Common Heritage of Mankind in International Law. The Hague, The Netherlands. Kluwer Law International. Borgese, Elisabeth Mann. 2000. Arvid Pardo (1914–1999): In Memoriam. In Elisabeth Mann Borgese et al., eds., Ocean Yearbook (14th ed.). xix–xxxviii. Chicago. University of Chicago Press. Committee to Frame a World Constitution. 1948. Preliminary draft of a world constitution, as proposed and signed by Robert M. Hutchins [and others]. Chicago. The University of Chicago Press. Pardo, Arvid. 1967. Address to the 22nd session of the General Assembly of the United Nations, U.N. GAOR, 22nd sess., U.N. Doc. A/6695 (18 August 1967). Pardo, Arvid. 1975. The Common Heritage: Selected Papers on Oceans and World Order 1967–1974. Malta: Malta University Press. Sand, Peter H. 2004. “Sovereignty bounded: Public trusteeship for common pool resources?” Global Environmental Politics, (4)1, 47–71. Taylor, Prue. 1998. An Ecological Approach to International Law: Responding to Challenges of Climate Change. London. Routledge. Tuerk, Helmut. 2010. The idea of common heritage of mankind. In Norman A. Martínez Gutiérrez Ed. Serving the Rule of International Maritime Law: Essays in Honour of Professor David Joseph Attard, 157–175. Oxfordshire, U. K. Routledge. Weiss, Edith Brown. 1989. In Fairness to Future Generations: International Law, Common Patrimony, and Intergenerational Equity. Tokyo. United Nations University/Dobbs Ferry, NY. Transnational Publishers. Wolfrum, Rüdiger. 2008. Common Heritage of Mankind. http://www.mpepil.com. Agreement Governing the Activities of States on the Moon and Other Celestial Bodies (adopted December 5, 1979, entered into force July 11, 1984) 1363 UNTS 3. Convention for the Protection of the World Cultural and Natural Heritage (adopted November 16, 1972, entered into force December 17, 1975) 1037 UNTS 151. Convention on Biological Diversity (adopted on May 22, 1992, entered into force on December 29, 1993). United Nations Convention on the Law of the Sea (concluded December 10, 1982, entered into force November 16, 1994) 1833 UNTS 397. United Nations Framework Convention on Climate Change (adopted on May 9, 1992 and entered into force March 21, 1994). United Nations General Assembly Resolution 1962 (XVIII) Declaration of Legal Principles Governing the Activities of States in the Exploration and Use of Outer Space (13 December 1963) GAOR 18th Session Supp. No. 15, 15. United Nations General Assembly Resolution 2749 (XXV) Declaration of Principles Governing the Seabed and the Ocean Floor, and the Subsoil Thereof, beyond the Limits of National Jurisdiction, U.N. GAOR, 25th Sess., Supp. No. 28, 24. U.N. Doc. A/8028 (1970). This essay is an adapted version of Taylor, Prue. 2011. “Common Heritage of Mankind Principle.” In Klaus Bosselmann, Daniel Fogel, and J. B. Ruhl, Eds. The Encyclopedia of Sustainability, Vol. 3: The Law and Politics of Sustainability. 64–69. Great Barrington, MA. Berkshire Publishing.